A leader is anyone who gives more purpose to the people around them. Whether you’re an executive or a frontline employee, whether you work in HR or in accounting, YOU have that power. 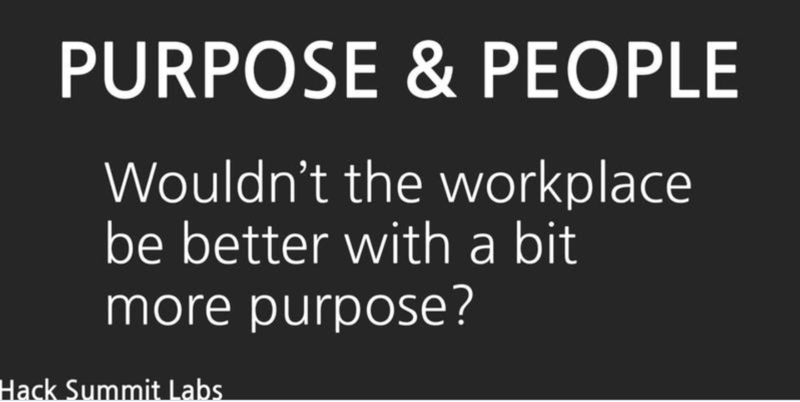 Purpose & People will explore where and how to infuse more purpose into your organization. THIS PANEL: How do purpose and culture scale? 3 panelists from 3 fast-growing, venture-backed startups with 70-100 people. This is a pivotal moment in the development of an organization, and these bad-asses will talk us through what they’ve seen, what they’ve done, what they’d do differently, and what they’d do if they were in your shoes. For more info and RSVP click here!